Windows 8.1 users already have a fine mapping app in Bing Maps, but soon they’ll have another option with Nokia Here. Nokia is bringing Here Maps to all Windows 8.1 devices in the coming days, starting in North America and Europe. The free app is already available on Nokia’s Lumia 2520 Windows RT tablet, but not on other Windows 8.1 devices. 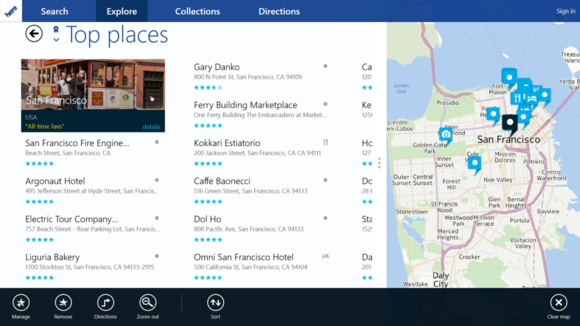 Nokia says it has made enhancements to Here Maps since launching it on the Lumia 2520. Satellite views now appear at higher resolutions when zoomed in; you can sort nearby points of interest by distance; and the app will remember your search history and past routes. Support for Windows 8.1 preloading also allows the app to launch faster if you use it frequently. Why use Nokia Here instead of Bing Maps? The big reason, especially for tablet users, comes down to offline map support. Downloading a few maps could come in handy for upcoming trips, or for faster loading of frequent locations. 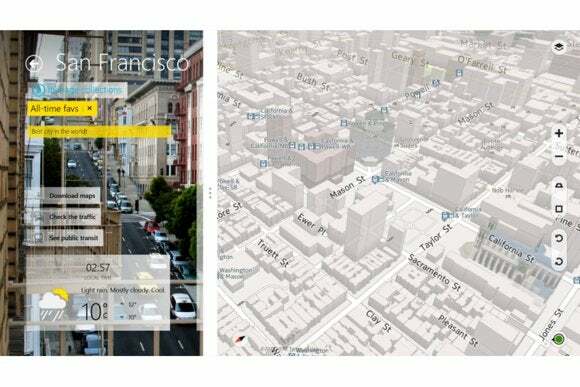 Here Maps also supports vector mapping and 3D maps, neither of which are available in the current version of Bing Maps. It’s unclear whether Nokia’s Here Maps will ever replace Bing Maps on Windows 8.1, as it has on Windows Phone, but Microsoft did launch a preview version of the next-generation Bing Maps in December, with 3D mapping, street views and other useful features. This suggests both apps are sticking around for a while.